For a fun Mums’ Night Out, meal with your other half or family, cocktails, summer BBQ or delivery service, Vines Bar and Grill is an all-round winner with local mums! Previously the hugely popular Greek Taverna, the restaurant knows how to serve fantastic-quality, locally-sourced Greek food. “We buy all our meat from the nearby Scott’s the butchers,” they explain. As well as being top-quality and healthy, Greek food is very popular with children, who love the succulent kebabs, chunky chips and delicious Greek yoghurt and honey on the excellent Children’s Menu. The owners celebrated the birth of their fourth baby last year and are very good with children. 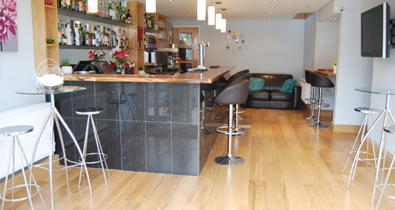 Vines Bar and Grill�is also perfect for a get together with the girls. Their 'Mums' Special Offer' is featured on Tuesday, Wednesday and Thursday. You can choose from a starter and main course and have a glass of house wine for only �10 per person. (Maximum of four people only and please mention Local Mums Online/Carshalton Mums to take advantage of this great offer). To celebrate the Summer,�Vines Bar and Grill�are also starting their happy hour (2 for 1) on bottled beer, cocktails and house wine, from 5-7pm Monday to Saturday. Even though�Vines Bar and Grill��are offering all of the above, don't forgot the reason they have been here for 23 years: Their party nights every weekend, with plate smashing, a live Greek show and disco until 12.30am.�Perfect for birthday parties, hen nights, office or Christmas parties.